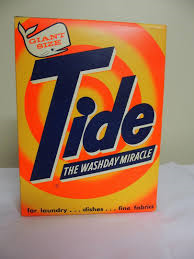 I used Tide detergent for eons as my mother also did until all of a sudden the price skyrocketed–it’s still in the stratosphere even on sale–and I realized that the world wouldn’t end and my clothes wouldn’t rot if I changed brands. 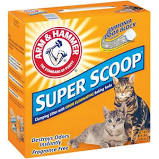 I thought of this as I read Aisha Al-Muslim’s front page Wall Street Journal story, “Prices to Rise for Household Staples.” She reported that this is the second year in a row. An aside: I knew Al-Muslim when she was a New York Women in Communications scholarship winner and look at her now! I wasn’t pleased to learn that Bounty paper towels and Charmin–the only brands I insist on–are on the list. Oh and Clorox 2, another favorite, is no doubt also. Are you married to certain brands or have you seen sense and found alternatives that suit you just the same? Can you recommend a terrific substitute for Bounty, Charmin or Clorox 2?